Outstanding Genetics. Data-Driven Breeding Decisions. Stellar Results. Irish Red has has done it again! 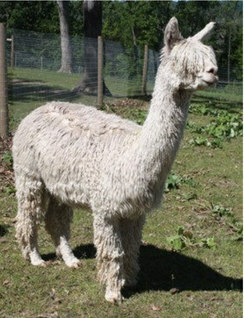 We bred him to a LF female and BOOM, a True Black cria was the result. Who would expect a Light Brown male to produce multiple True Black and award winning offspring? We didn't, but gave him the chance to prove it and he did! Irish Red has consistently improved offspring out of our dark foundation females. He has respectable fiber stats for an older colored male, with a range of only ~4 microns over 7 years! He has thrown 100% dark colored offsping. No white, Beige, or Light Fawn. 25% are Black, 40% are Brown, 25% Fawn, and he even had one Traditional Gray daughter out of a Light Brown female! As an added bonus, he is completely unrelated to MacGyver, so you can breed your dense light or dark females to him without fear of line-breeding. 3x Champ, She is Royalty! This girl is simply fantastic. At almost 13 years of age she is still in the top 1% of EPDs for % medullated fiber! Number 88 out of 9,433 animals in AFD! Genetics lead the way, with Crown Royale as her sire. She IS royalty herself. Sprite is the beloved mother of daughters BBFAI Fanta, BBFAI Crystal, BBFAI Sierra Mist, and BBFAI Squirt, and mother of BBFAI Devil's Cut. She is one of the best producers we have seen and we love every one of her offspring. After a stunning show career, Sierra Mist has quietly gone about her business of producing excellent babies year-after-year. She is a dream to work with. Even at age 7 her fiber stats are still excellent. 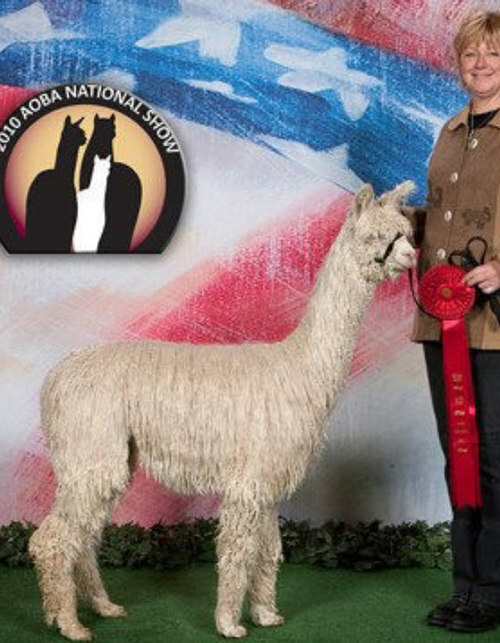 She is in the top 1% in 2016 EPDs for fleece weight. 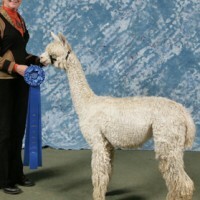 Her babies are continuing to prove themselves in the show ring! We will work with buyers to develop an individualized financing plan.